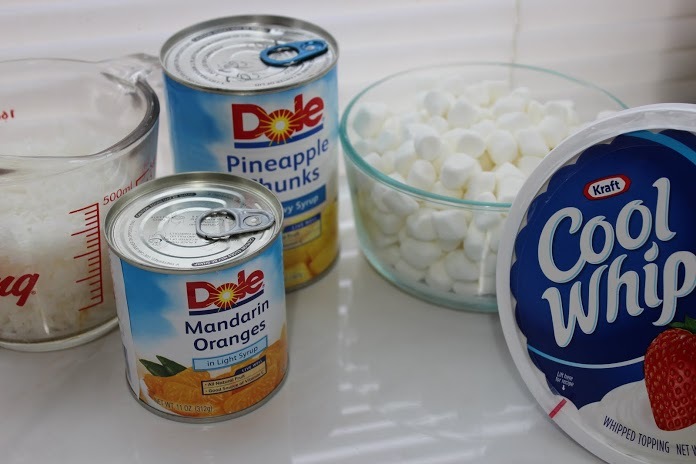 Put the Whipped Topping in a large bowl, drain your Mandarin Oranges and Pineapple. Dump on top of the Whipped topping and mix well. 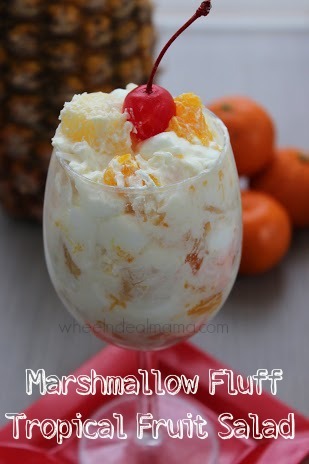 Add in your coconut and mix it up and finally add the marshmallows. Combining everything thoroughly.